One of the leading names in the market, the Nepean Garage Door Repair is the answer to all your garage-door and opener related troubles and concerns. Given our world class services and premium quality of products and services, we aim to serve you with utmost dependability and reliability that you will cherish for years to come. All you need to do is dial our contact number and we will be there at your doorstep complete with a highly qualified set of technicians and fully equipped trucks to provide same day solutions for your garage door woes. Another interesting aspect of our servicing is that with our operating hours that extend 24*7, we will be ready to assist you and fix your malfunctioning garage door, opener and other related accessories at your doorstep as and when the problem arises, regardless of the time of the day. 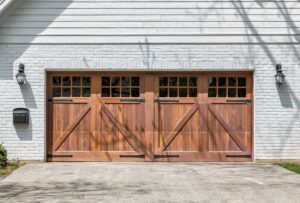 The fact that our certified and licensed technicians have achieved comprehensive practical knowledge and years of experience of working with a variety of garage door types and repair concerns furthers our mettle in fixing all your garage door issues, simple or complex, regardless of their model and make. 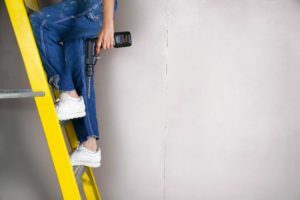 We not only repair your garage gate, garage door openers, garage door springs and the like but also provide efficient installation services for new doors and fixtures. You can enhance the curb appeal of your residential or commercial property by choosing from the wide selection of garage doors available at our Nepean showroom including hardwood, steel and composite doors, and getting same day installations by our trained staff of professionals. At Nepean Garage Door repair, we aim to deliver rapid solutions for all your garage door problems along with the best warrantees available in the market today, for ensuring that your garage door fixtures remain as good as new and continue to function smoothly for years on end. More than fifteen years experience servicing & installing garage doors and openers.